The latest collaboration between BlackBerry Mobile and TCL is the Motion, a large slab that runs Android and boasts BlackBerry's powerful productivity tools. Mobile pros will be happy with features such as BlackBerry Hub and the Productivity Tab, while businesses that deploy the Motion will appreciate the DTEK security software. Despite its many strengths, however, the Motion is a little uneven. 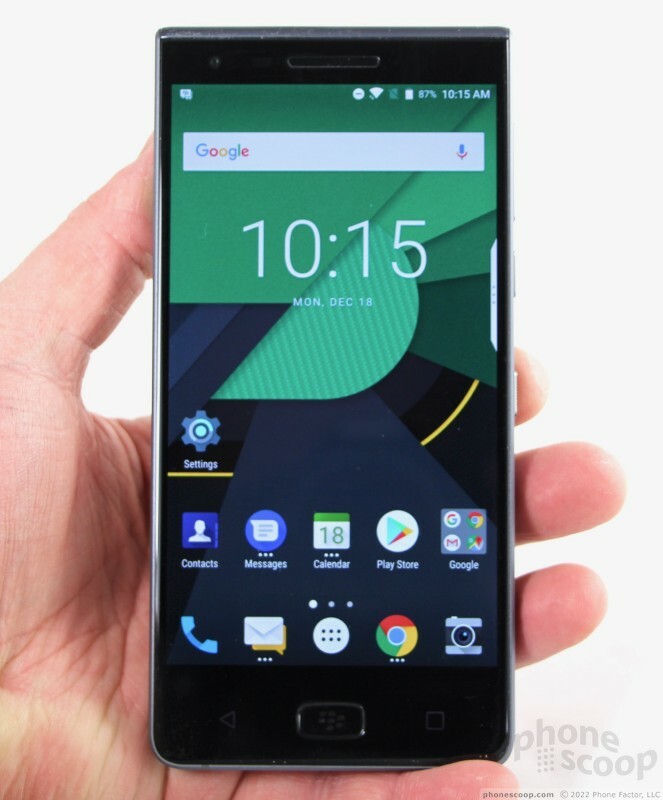 Here is Phone Scoop's in-depth review of the BlackBerry Motion. 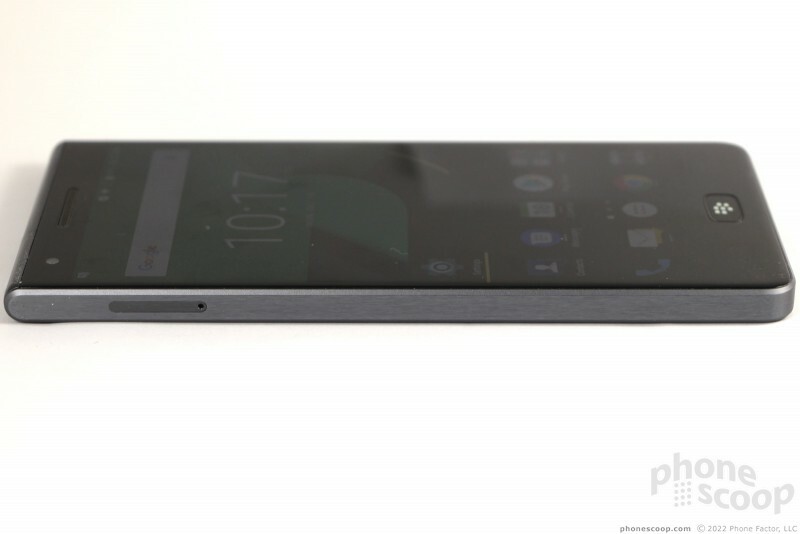 The BlackBerry Motion is an all-screen Android smartphone with BlackBerry's business-focused messaging software on board. 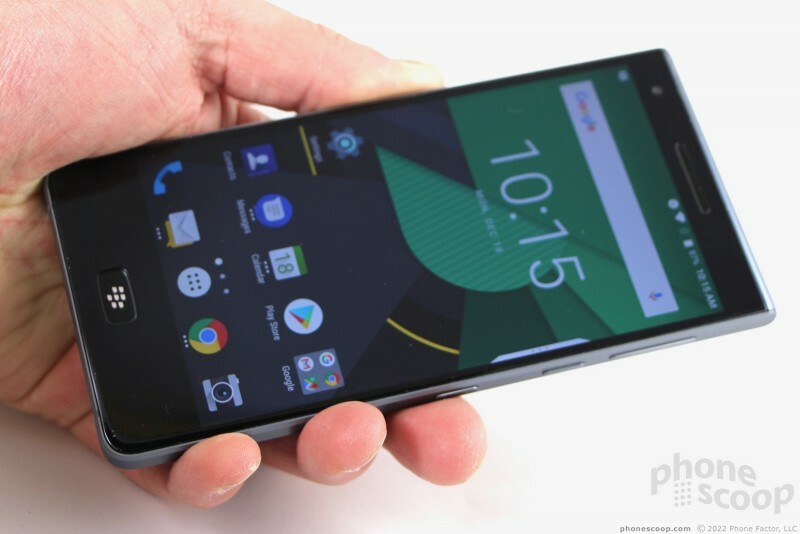 If you're looking for a secure handset with killery battery life and productivity-minded software, the BlackBerry Motion is a fine option for today's mobile pros. The Motion, manufactured by TCL, is a large slab. It's made from a variety of materials, including glass, aluminum, carbon fiber, and some plastic. The design is a little chaotic with black, gray, and chrome patched together here and there. 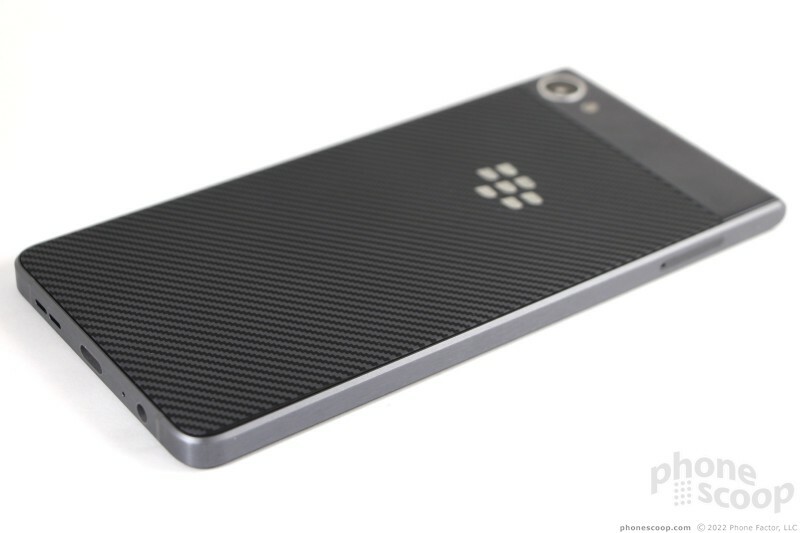 It's a BlackBerry, so it leans toward the conservative, and yet the Motion is still modern in its own way. A U-shaped aluminum frame runs from the top left corner down around the bottom and back up the right side. It's a thick frame. 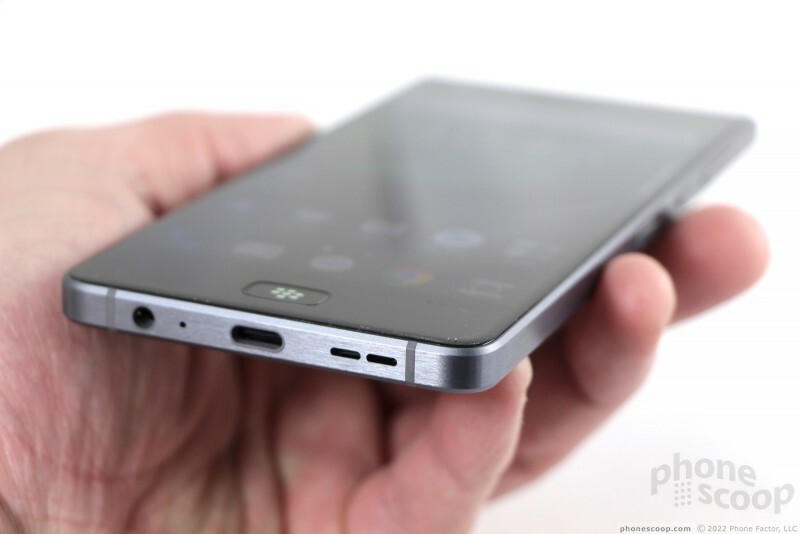 I like the brushed look of the metal and the chamfered edges on both the front and back sides. 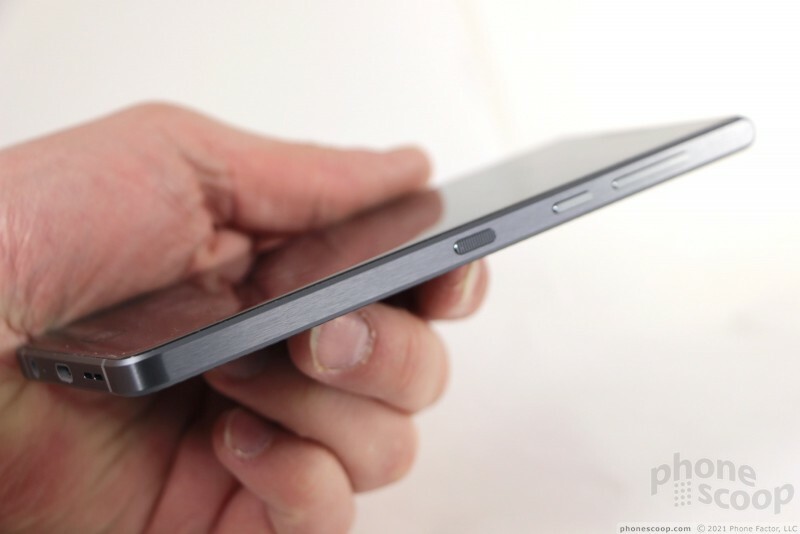 The side edges are flat, which means they aren't the most comfortable against your palm. Unusually, the phone has relatively sharp corners at the top and rounded corners at the bottom. The Motion looks and feels serious. The Motion is a Very Big Phone. The Motion is larger than the Pixel 2 XL; the only handset on my desk that's bigger is the Galaxy Note8. The size, combined with the flat side edges and blocky shape, make the Motion one of the least comfortable devices I've used in recent memory. If you have small hands you'll find this phone a chore to use effectively. It fits into pockets, though just barely. The Motion feels like a block of metal in your pocket and it will stab your leg from time to time. TCL did a fine job assembling the device. The metal frame is solid, the glass is polished finely, and the carbon fiber rear panel has a pleasing soft-touch finish. These components are all fitted together tightly. I have absolutely no complaints about the build quality. Importantly, the Motion is rated IP67 for protection against water and dust. This means it can sit in three feet of water for up to 30 minutes and live to tell the tale. This is a rare feature for a BlackBerry. The Motion's face is plain. I like the uniformity of the black glass panel as it stretches from side to side and top to bottom. The glass is curved just a bit where it meets the frame. 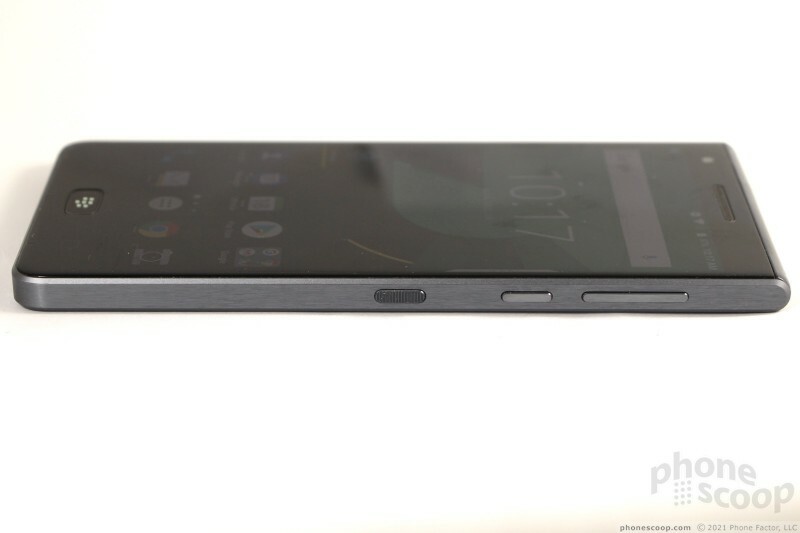 I'm not a fan of the bezels; the chin and forehead are both extra thick. 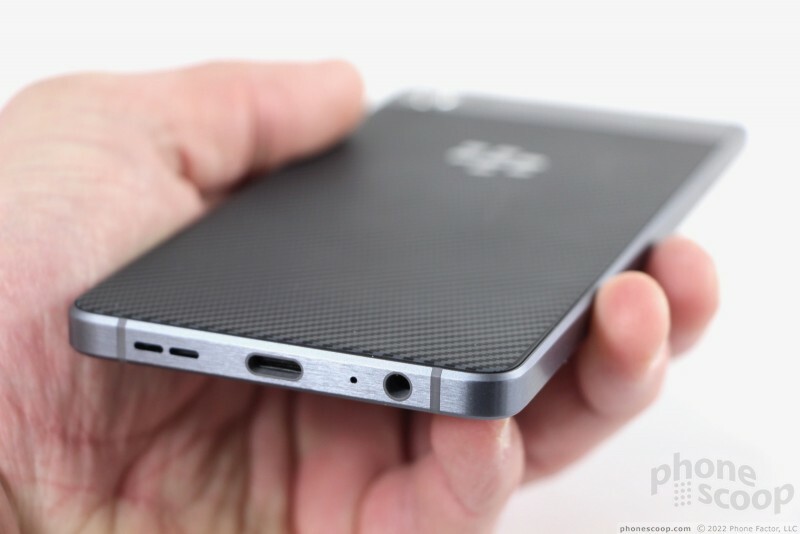 You can't miss the earpiece grille above the display, nor the BlackBerry button below it. 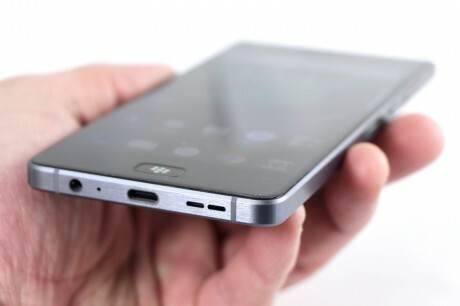 This hardware button acts as a home key and fingerprint reader. 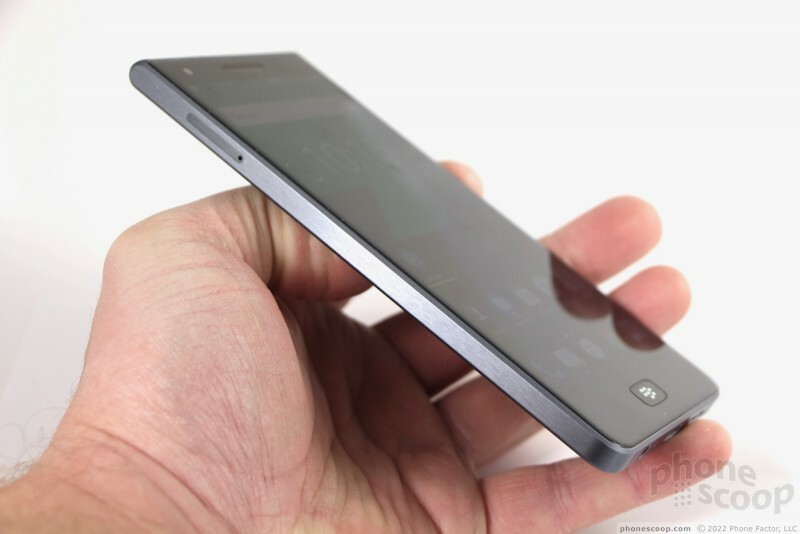 It is slightly concave, which helps your thumb find it without looking. The action is decent. The back and app-switcher touch keys work as they should. The card tray is on the left side and supports a nano SIM and a microSD memory card. It's a nice metal tray and I had no trouble with it. All of the buttons are on the right edge. 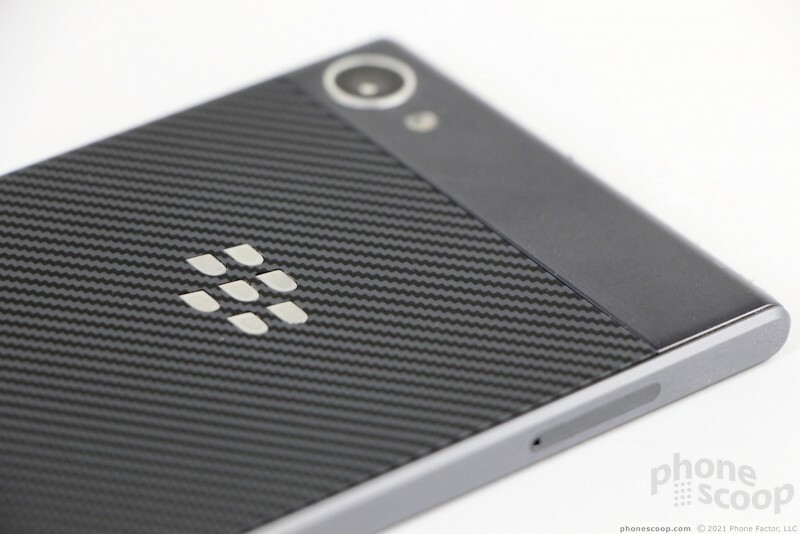 The BlackBerry "convenience key" has a ribbed texture to set it apart from the other controls. You can assign this shortcut button to perform a range of actions. Travel and feedback are very good. The power button / screen lock key is next. It's about the same size as the convenience key, but has a smooth texture. I liked travel and feedback, though I did often tap the convenience key thinking it was the screen lock button. The volume toggle is closest to the top and it is a long, slim affair. Travel and feedback are great. 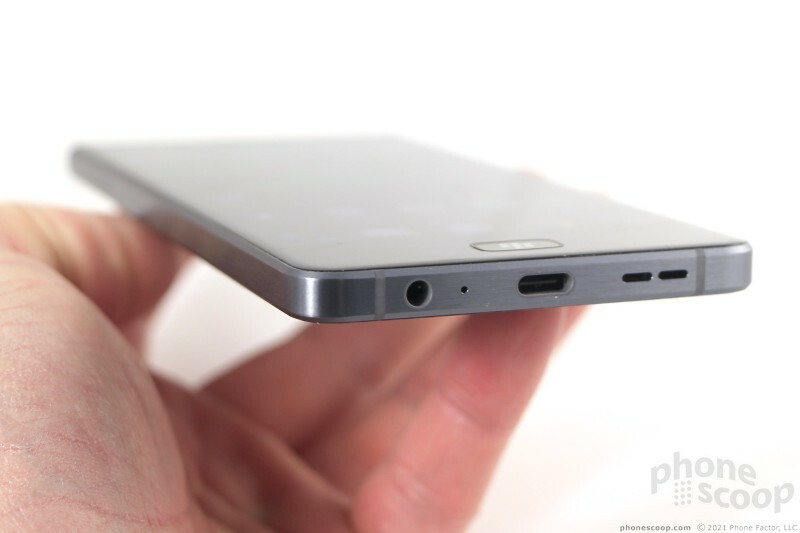 The Motion includes a USB-C port and a 3.5mm headphone jack. Surely some will be happy about the headphone jack. The top edge is a rounded piece of plastic and it doesn't house any functional controls. 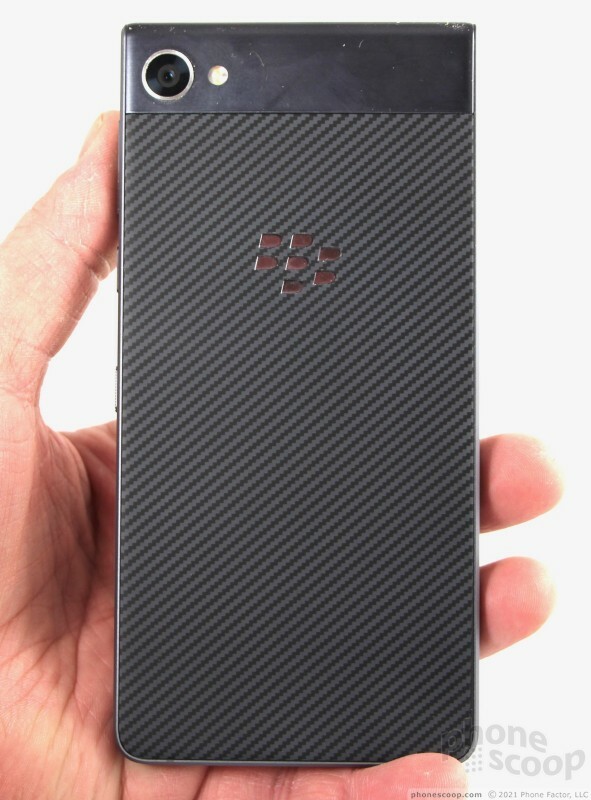 It's nice to see BlackBerry bring back the carbon fiber. 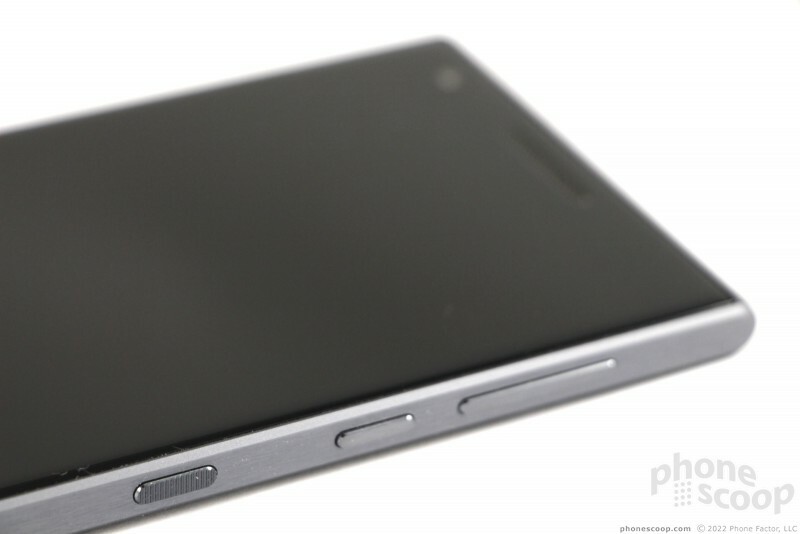 I've always liked it as an option for phones and it looks great as the rear panel of the Motion. 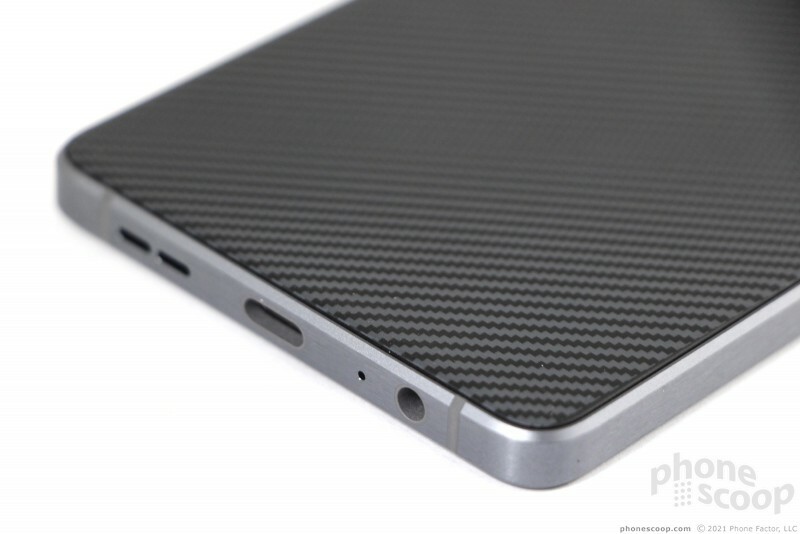 The carbon fiber is mostly flat and has a minimal curve right along the metal frame. 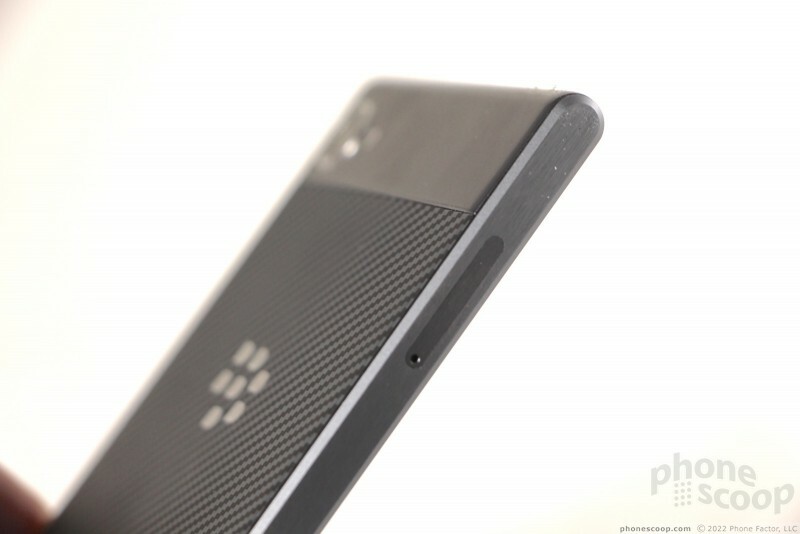 The BlackBerry logo is emblazoned on the rear in chrome; you can't miss it. The one aspect of the Motion's design that bugs me is the plastic cap at the top of the rear. A piece of plastic wraps from the edge of carbon fiber up and over the top of the phone where it meets the glass on front. The plastic cap holds the large, round camera module and dual LED flash. The material has the look of brushed metal but it is obviously plastic. 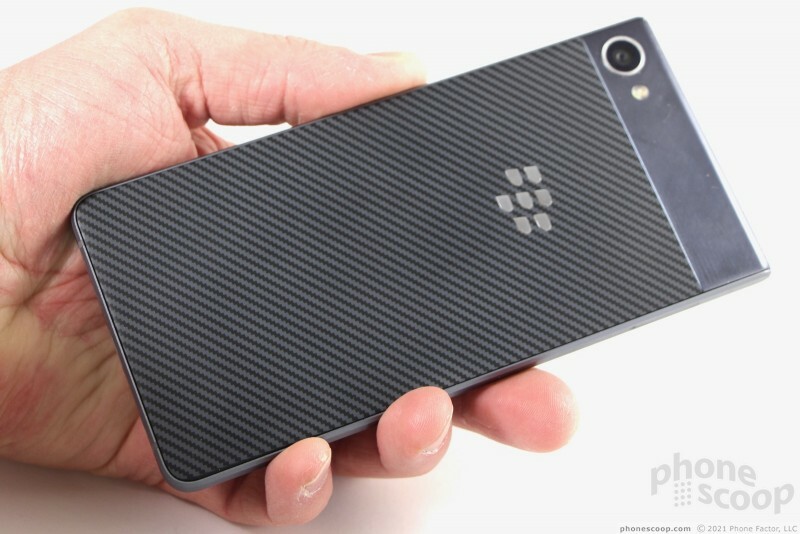 I understand the engineering decision behind this design choice and yet I think BlackBerry could have done better. 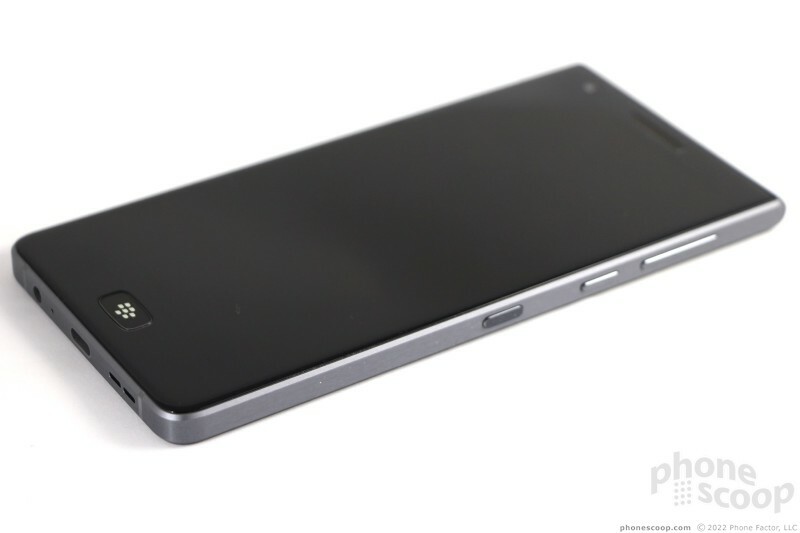 You cannot remove the phone's rear panel; the battery is inaccessible. 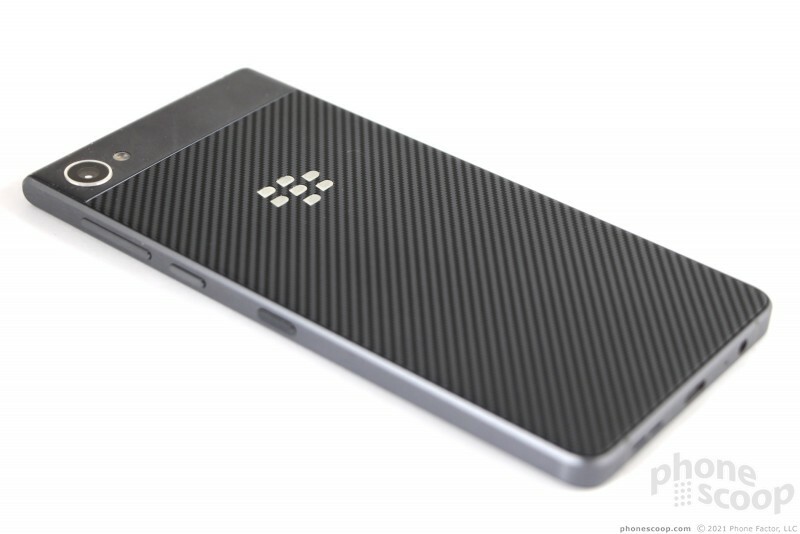 The BlackBerry Motion is a significant piece of hardware. It's big, heavy, and industrial-looking, almost to a fault. 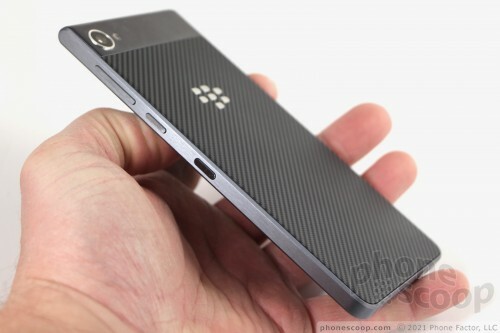 However, it's well-made and pretty much your only option if you want an all-screen BlackBerry. 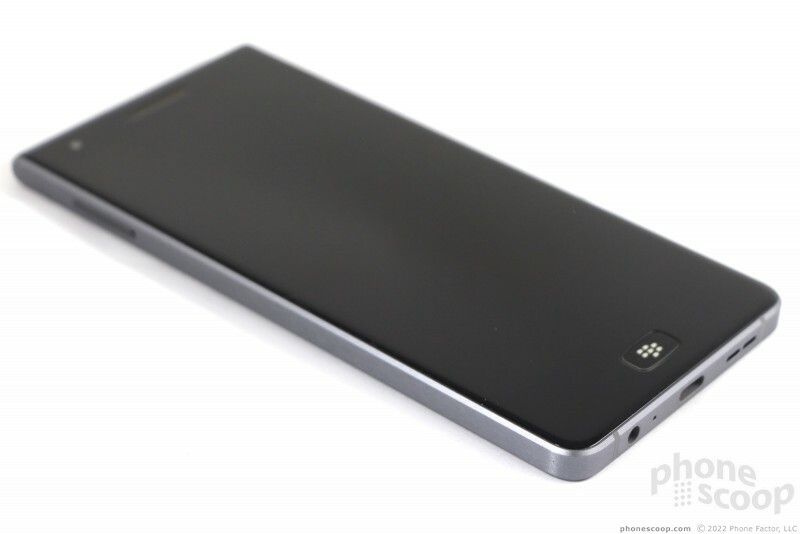 BlackBerry selected a 5.5-inch, full HD screen. The LCD screen makes use of the more traditional 16:9 aspect ratio, so it's the same shape as many other screens on mid-range phones right now. The pixel count and size work together well enough. Pixel density is good at 401ppi. 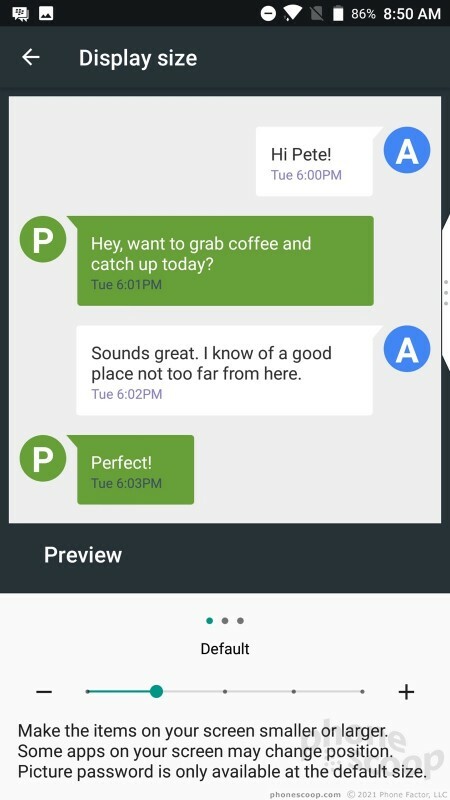 Text and icons look nice and sharp on the display. The screen does put out plenty of light. I had no trouble reading the phone outdoors with the brightness cranked up, though you'll notice the automatic brightness control is slow to react to huge swings in ambient light. Colors are mostly accurate. Viewing angles are good; the screen doesn't change colors when tilted from side to side, though it does lose brightness. 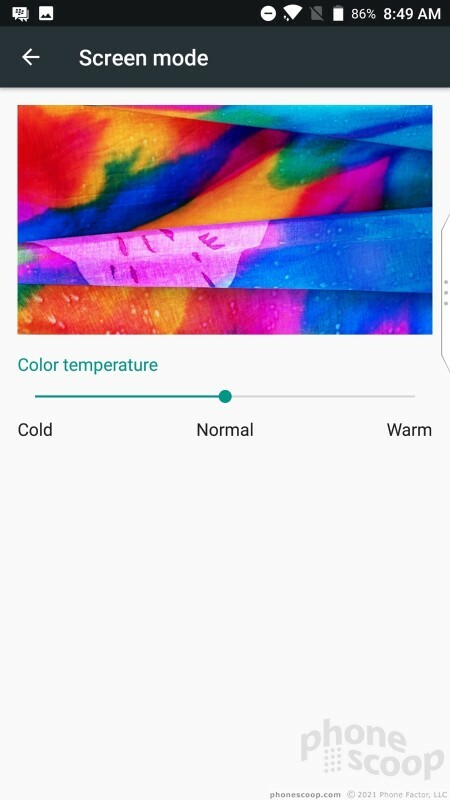 It's a fine screen for this class of phone. The screen supports glove mode. I was able to use the phone outdoors in chilly weather when wearing a pair of thin leather gloves. 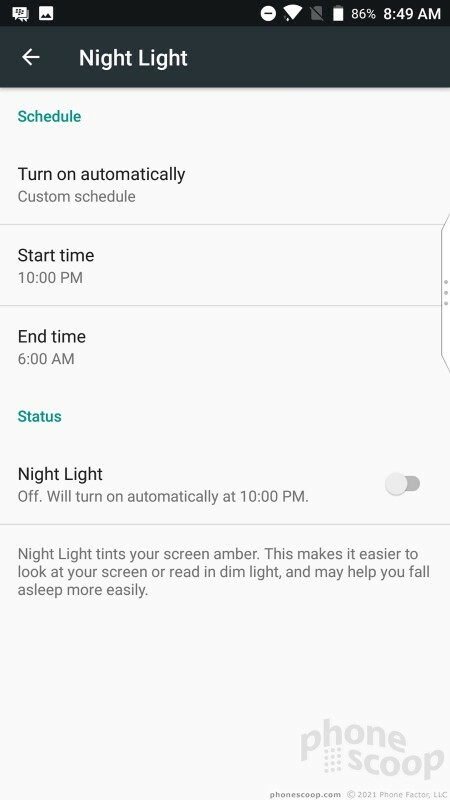 There's also a night mode (called Night Light) that reduces blue light in order to reduce eye strain, and you can adjust the overall color temperature. The Motion is being sold as an unlocked international phone right now. It includes a decent selection of LTE bands for North America and overseas (1 / 2 / 3 / 4 / 5 / 7 / 8 / 12 / 13 / 17 / 20 / 28 / 29 / 30 / 38 / 40 / 41 / 66), including the main bands used by AT&T and T-Mobile in the U.S. It's nice to see T-Mobile's band 66 on board, as well as AT&T's 29 and 30. I tested the phone on AT&T's network in and around New York City and would rate the Motion's performance as par with other unlocked phones. The phone connected to AT&T's network with no issue. It landed on 4G data most of the time, though it occasionally dropped to 3.5G in weak signal areas. Download speeds peaked around 25Mbps and uploads reached 10Mbps. Streaming media (Spotify, YouTube) via LTE was acceptable with only minor amounts of stopping and buffering. Normal activities such as checking email and social networks never gave the Motion's LTE radio any trouble. The Motion's ability to connect calls is not in question. The phone didn't give me any trouble patching through on the first dial. Moreover, it didn't drop any calls, even at highway speeds, nor did it miss any. The Motion is a fine voice phone. The earpiece pushes clear voices with plenty of volume. I was able to enjoy conversations at home and even in the car with the volume set to medium levels. I had to turn it up when walking on city streets or sitting in a busy coffee shop. High volumes introduced a small amount of distortion, but it wasn't too bad. People I spoke to through the Motion said I sounded "near by." The speakerphone does well. It offers clear, pleasing voice tones at medium volumes that are audible in spaces such as your home or office. Cranking it up does impact quality a bit (some distortion), but you can easily hear calls in a moving vehicle. Ringers and alert tones got my attention the majority of the time. The vibrate alert did its job well enough. One place the Motion impresses is battery life. TCL packed a large 4,000mAh battery into the handset, and it delivers. I consistently found the battery lasted through two full days of productivity. In fact, I found it difficult to drain the battery fully. 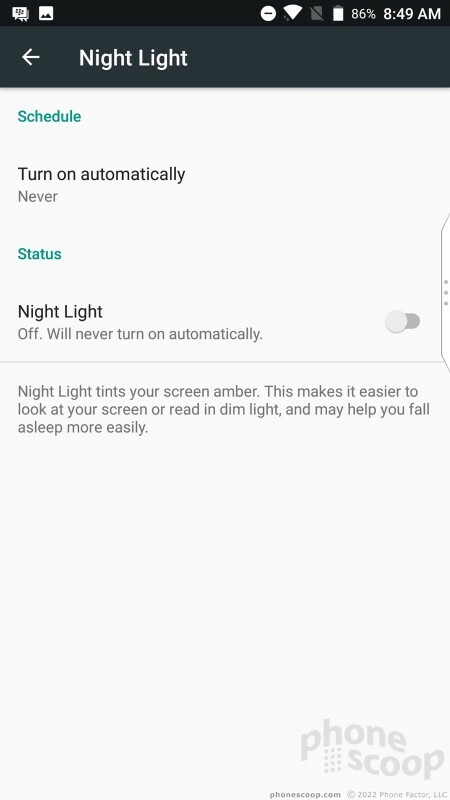 I tested the phone with all the radios on and the brightness set to 50%-60%. The Motion outlasts many of today's big-screened devices, though BlackBerry's own KEYone lasts even longer. 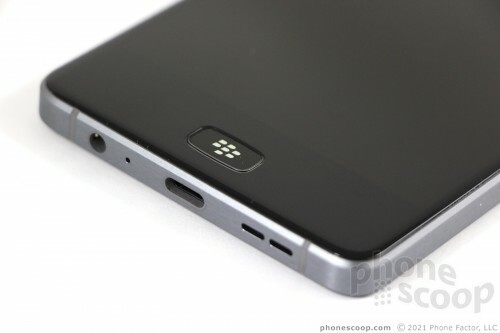 The Motion ships with BlackBerry's Boost Mode, which is more about charging than it is about conserving battery. With Boost Mode enabled, the phone will use as little power as possible as it charges, thereby allowing it to charge more swiftly. I found the phone does in fact charge faster when Boost Mode is enabled. Technically, the phone supports Qualcomm Quick Charge 3.0 and includes a QC3 charger in the box. One thing I like: you can choose to see the battery charge status on the screen's edge when the phone is sleeping. 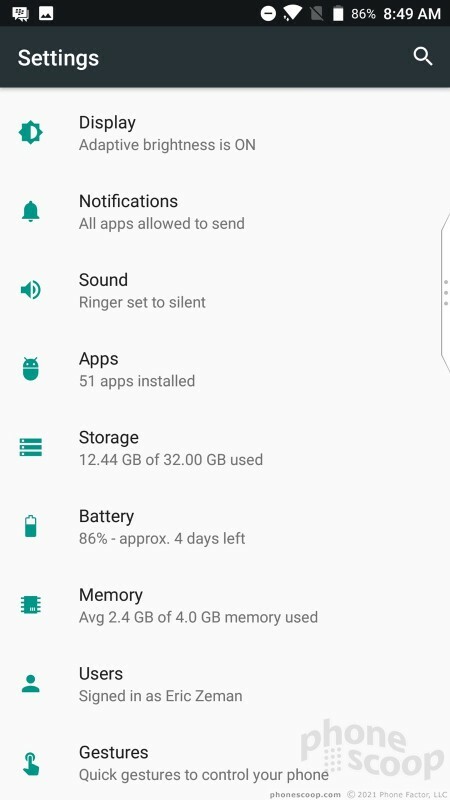 The Motion doesn't support wireless charging. I cannot lodge any complaints about the Motion's secondary radios. The handset's Bluetooth radio paired and connected with headphones, speakers, and other accessories without fuss. I was pleased with calls made via Bluetooth headphones. Just as with the earpiece, clarity was good and volume was good enough. Calls patched through my car's hands-free system were very good. Music sounded decent when used with stereo headphones, though I have heard better. GPS worked perfectly on the Motion. Google Maps pinpointed me in several blinks of an eye and was always within 15 to 20 feet. The app ran fluidly over AT&T's LTE network. The phone was a reliable real-time navigation tool. The NFC radio was helpful in pairing with some Bluetooth accessories. The NFC also supports Android Pay for mobile payments. The WiFi did its job with gusto. 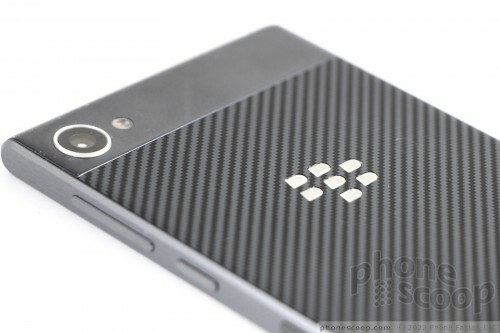 TCL today offered a sneak peak of a new BlackBerry smartphone in a short video. TCL is the parent company behind Alcatel and recently struck an agreement to design and manufacture smartphone hardware for BlackBerry. Why do they even bother with non-keyboard phones? 2015 called and they want their SOC back!